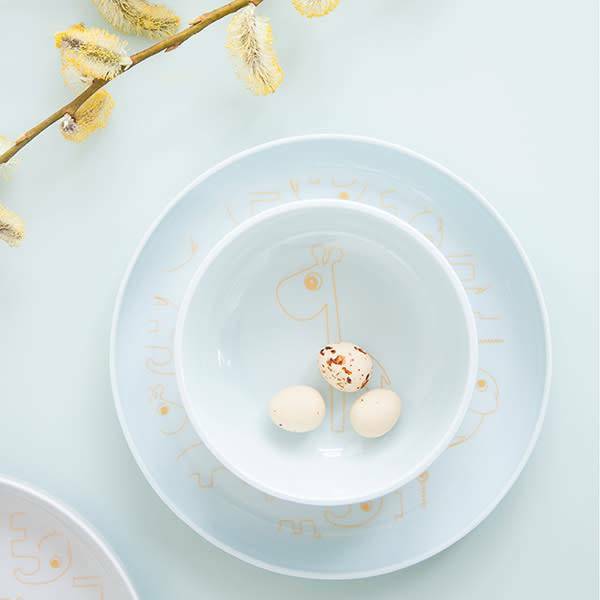 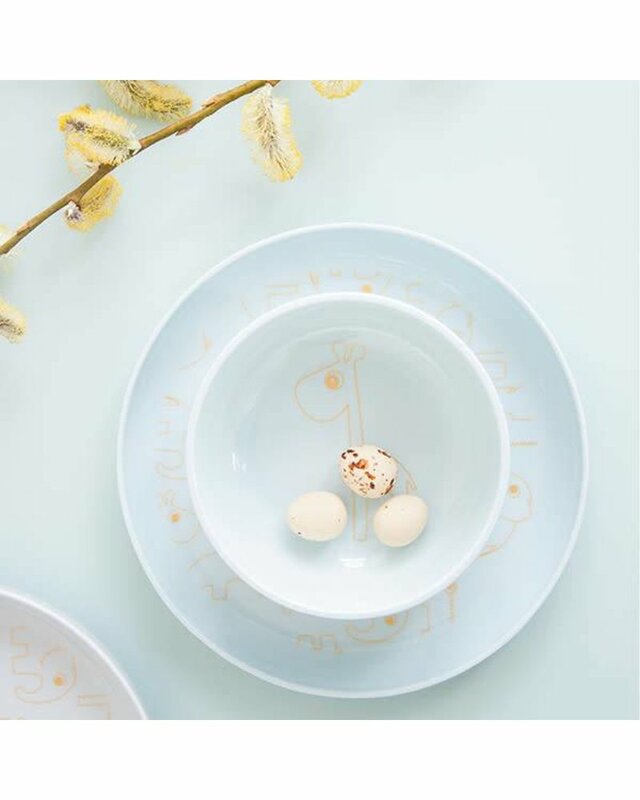 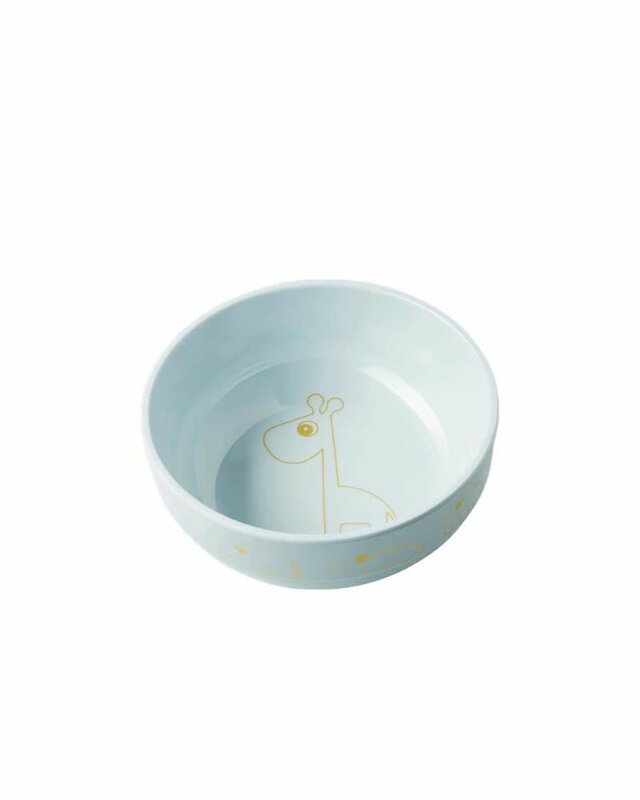 This bowl in soft pastel colours with golden details is yummy in every possible way. 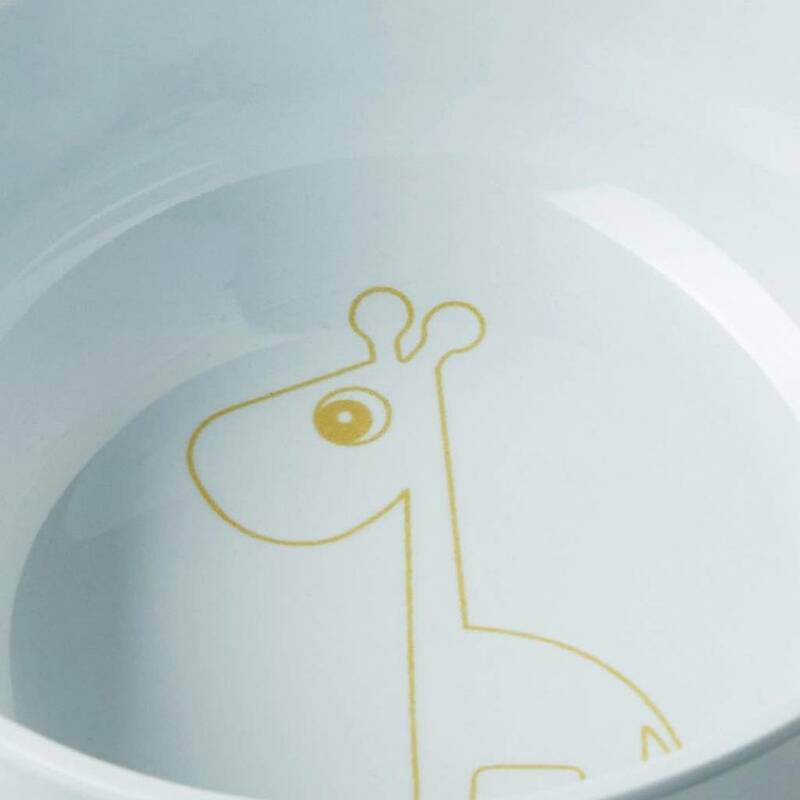 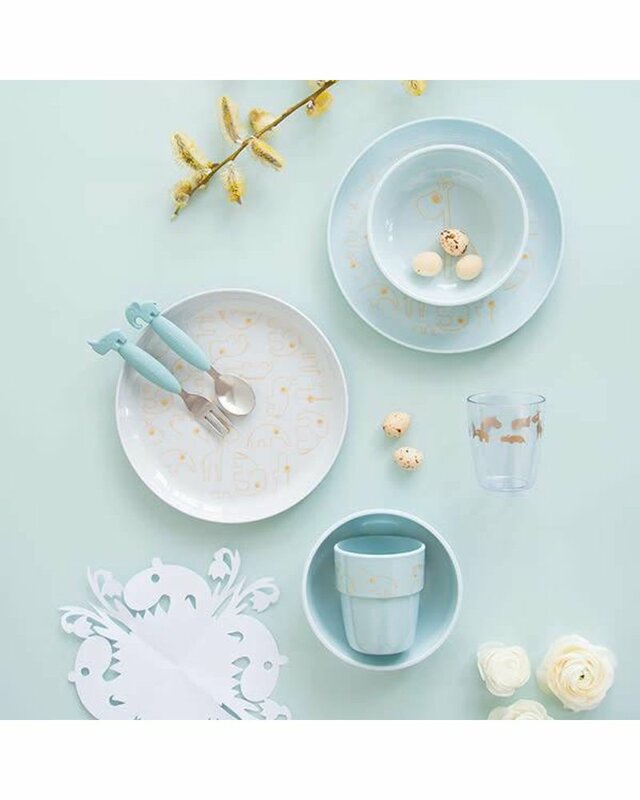 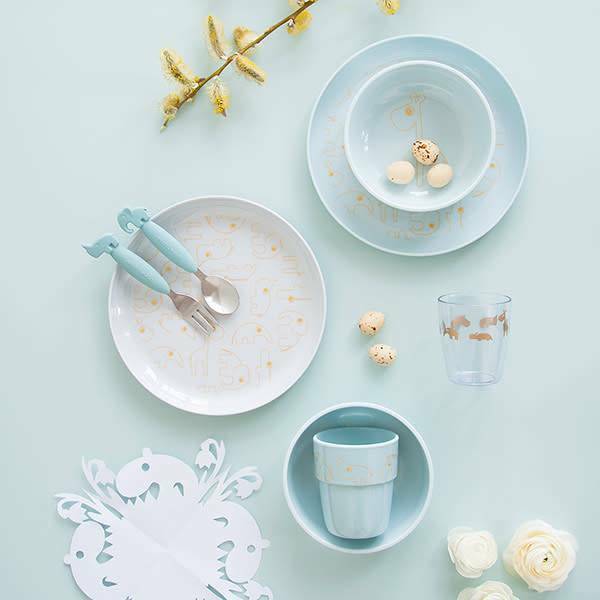 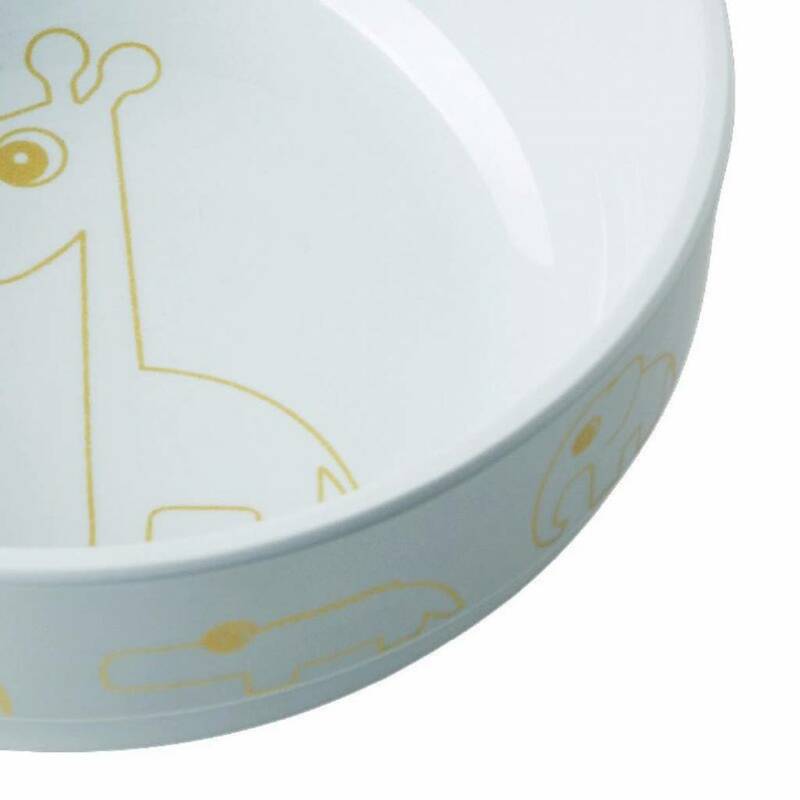 The deer friends are center of attention on this golden series of melamine. 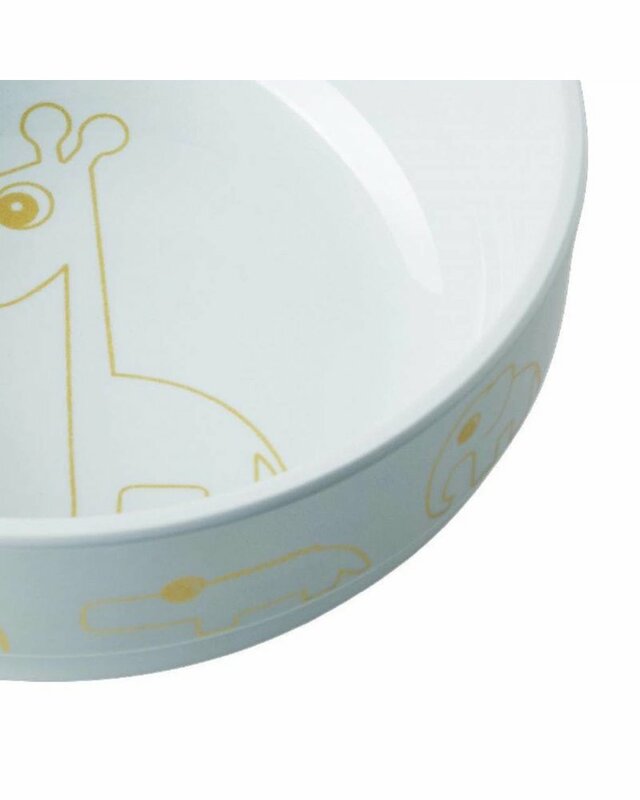 Raffi looks up from the inside of the bowl and Elphee, Nozo, Zebee, Ozzo, Antee and Croco decorate the side of it. 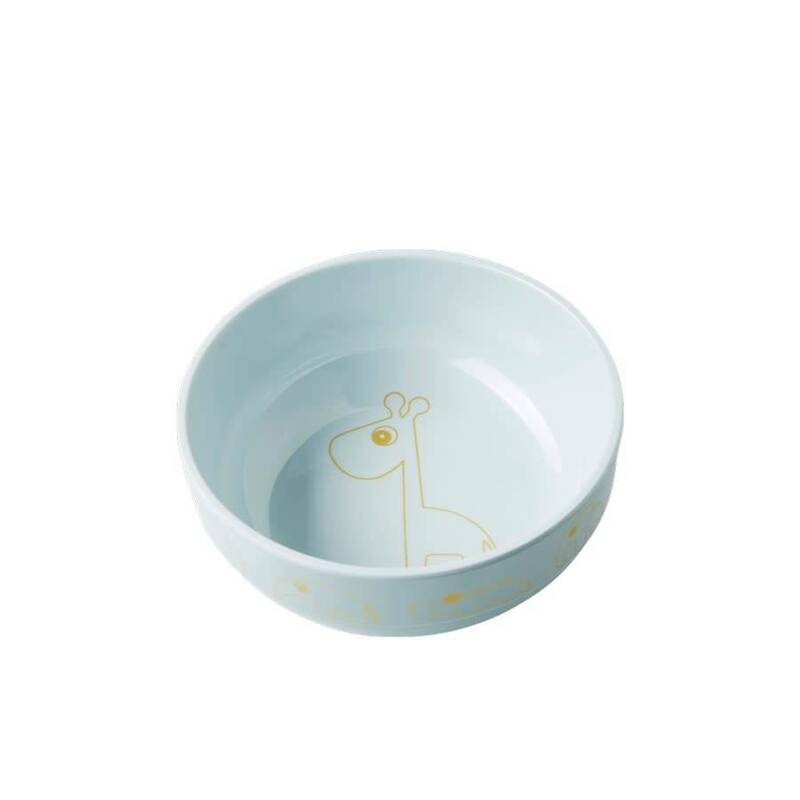 All the deer friends are ready to help make eating fun for your mini. 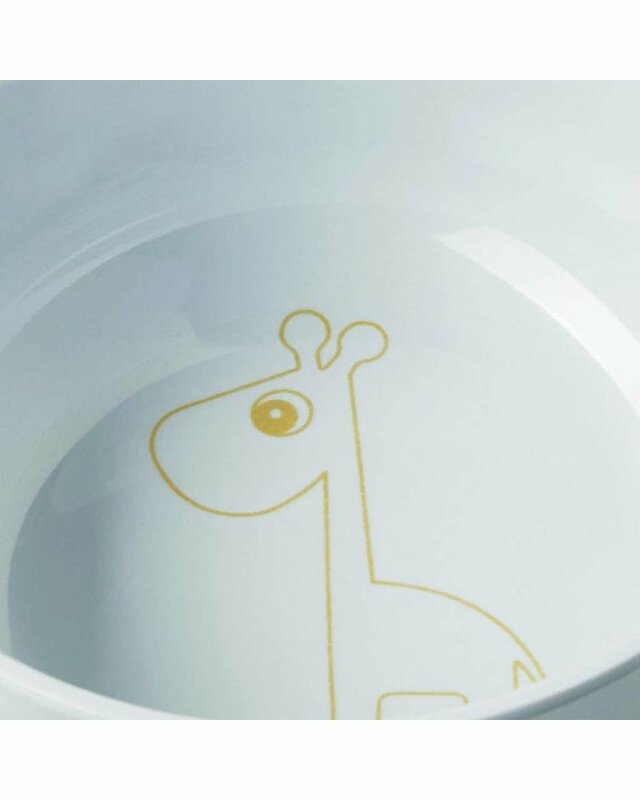 Size: Ø 13,5 x 5 cm.